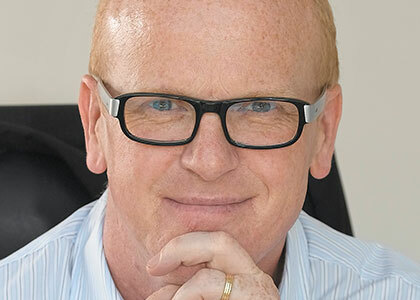 Charles Leadbeater is a renowned author, thinker and strategic adviser on innovation whose advice is sought by governments, cities and corporations across the world. Charlie’s expertise is about how these organisations respond to and make the most of the current upheaval, the tensions and the opportunities it creates. We are living in a time of stagnovation – stagnation combined with relentless innovation and rising inequality. The New York Times anointed Charlie’s idea, The Pro-Am Revolution, referenced extensively by Chris Anderson in his landmark book The Long Tail, as one of the biggest global ideas of the last decade. Charlie’s TED talks on innovation have been watched by well over a million people. The Spectator Magazine described him as “the wizard of the web” after the publication of his bestseller “We Think: mass innovation not mass production” which forecast the rise of more collaborative, open forms of innovation made possible by the web. The YouTube animation based on the book has been watched by more than 300,000 people. The Financial Times described Charlie as the outstanding innovation expert in the UK. A past winner of the prestigious David Watt Prize for journalism, Charlie was assistant editor at the Independent newspaper after a distinguished career at the Financial Times, where he was Labour Editor, Industrial Editor and Tokyo Bureau Chief. Charlie went on to become a key adviser to Prime Minister Blair’s policy team (he was Tony Blair’s favourite global thinker) and the Department of Trade and Industry, specialising in the impact of the Internet and the knowledge driven economy. He drafted the UK Government’s White Paper – Our Competitive Future: Building the Knowledge Driven Economy which was one of the first policy papers in the world to argue that advanced economies would become increasingly dependent upon innovation for growth. Governments in Europe, North America, Australia and Latin America have turned to him for advice on policy issues ranging from health and education to culture and cities. Charlie speaks regularly at high profile conferences on every continent, from the Gates Foundation in Seattle to the Qatar Foundation in Doha, for the Economist magazine in London to the Government of Mexico, from Microsoft to the Tate Art Museum. Charlie is a long standing senior research associate with Demos, the influential London think tank; a co-founder of Participle, the leading public services innovation agency, which is working with public sector agencies to create next generation public services and a visiting fellow at the National Endowment for Science Technology and the Arts, where he has championed ideas of open and user driven innovation. Charlie is co-chairman of the social enterprise Apps 4 Good, one of the first charities to be granted a license to make Facebook apps which has recently caught the attention of the White House. He has a track record for spotting ideas ahead of time. The Rise of the Social Entrepreneur, published in 1997, for example, was one of the first books to predict social enterprise solutions to public problems would become more compelling. Social entrepreneurship has since become a global movement. Charlie gave a keynote address at the inaugural Skoll World Forum on Social Entrepreneurship in Oxford. His work ranges widely over innovation in the private, public and social sectors. In Learning from the Extremes, a widely read report he published in 2009, Charlie looked at the way social entrepreneurs are using technology to create new low cost approaches to learning in the slums and favelas of the developing world. From a new position working on health innovation with Imperial College London he is looking at the way new, low cost and distributed models of health care are emerging in the developing world. Charlie’s latest book, The Frugal Innovator, analyses the spread of super low cost, simple, robust and shared solutions to pressing social challenges. The Frugal Innovator looks at how the global dynamics of innovation are shifting during the downturn with more new products being devised for and with relatively poor consumers of the developing world. Most of the organisations Charlie works with are going through a kind of civil war. On one side are people who want to stick with what they have, tried, trusted and probably exhausted business models. On the other side are people who see new possibilities for business models that are networked, fluid, collaborative, but they are also highly risky and a big leap. Most organisations are caught up in this kind of debate. Charlie’s message to chief executives is if there is not a civil war of that kind going on then they are not having the right kind of debate inside their company. They need to get used to provoking, leading and managing the civil war if their organisations are going to make progress. Painful but necessary.